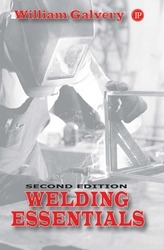 Welding tip sizes for differing metal thickness, as well as proper pressure settings for those tips and how to determine what the size is as related the non-standard numbering systems used by manufacturers. New and improved drawings throughout. Discussions on Carbon Arc Cutting with air, Plasma Arc Cutting, and Laser Cutting. More thorough information related to the proper sizing of oxy-fuel cutting tips and pressure charts, and bore drill sizes for the various tips. More thorough explanation of common welding elements. New information on the wire feeding process and more in-depth information related to the use of the tungsten electrodes.